Finding the right serviced apartment in Frankfurt isn't hard, but it takes a bit of time to search the city's different neighbourhoods. While Frankfurt is not a huge city, there are a many characteristics to choose from, from the nightlife of Sachsenhausen and Bornheim, to the family-friendly streets of Höchst. Feel free to explore, get a feel for Frankfurt, and rent an apartment in a district you would like to call home. Sachsenhausen has a bit of everything, with world-class museums dedicated to Jewish history, ancient sculptures, film, and art alongside welcoming pubs that serve Frankfurt's beloved Apfelwein and plenty of clubs. And thanks to the Uniklinik, the university’s hospital, it's also a youthful, student-friendly place to live. Sachsenhausen suits a younger crowd, thanks to its eateries, nightlife, pubs and proximity to the university. Students and young singles will find it meets their needs, but anyone who loves museums and wants a rental apartment in a central location should consider Sachsenhausen as well. With its central location and range of amenities, Sachsenhausen isn't the most inexpensive place to find apartments for rent in Frankfurt. Rents average around € 1.050 - € 1.550 for a furnished one-room apartment due to the abundance of high-quality accommodation. Located about 10 km west of Frankfurt itself, Höchst is more of a satellite town than a suburb. It has a culture of its own, with the hugely popular Höchster Schlossfest featuring amusements, theatre, food and music, as well as landmarks like the Justinuskirche. Höchst is full of young families and younger people in general, with around a third of the population aged 25 or under. It's an ecologically-oriented neighbourhood, with abundant green spaces, houses for rent and good infrastructure for families. Because it's quite distant from the middle of Frankfurt and its business district, Höchst is a relatively inexpensive place to find rental apartments. Rent prices average € 900 - € 1.400 for furnished one-room apartments, which is very affordable for the Frankfurt area. Bockenheim is a short distance northwest of Frankfurt’s downtown, but it feels a world away from the business centre, with a relaxed, cosy vibe and a multicultural population. Students are a big part of the community, thanks to the large Goethe University campus. The architecturally imaginative Bockenheimer Warte U-Bahn station also provides quick access to the city centre. Bockenheim is a wonderful neighbourhood for students studying at the Goethe University, but it's equally suitable for young professionals and couples who want a relaxed area which has plenty going on in the evening. Bockenheim’s convenient central location keeps rent prices relatively high. Average rent prices are € 1.080 - € 1.550 for a furnished one-room apartment. One of Frankfurt's most sociable neighbourhoods (and once the red light district), Bornheim is the kind of place where visitors can easily join a Karneval club dedicated to organising annual carnival celebrations to get to know the locals. The central street Berger Straße is studded with cider houses and clubs, and Bornheim in general has a party atmosphere. Despite being a fun-loving district, Bornheim isn't only populated by younger people. In fact, it's one of Frankfurt's most mixed neighbourhoods in terms of ethnicity, income and age. If you love to meet new people you will be in good company here. Anyone looking for affordable short-term flats in Frankfurt should consider Bornheim. Average rent price is from € 1.130 - € 1.600 for a furnished one-room apartment. In comparison to other districts it is quite affordable. 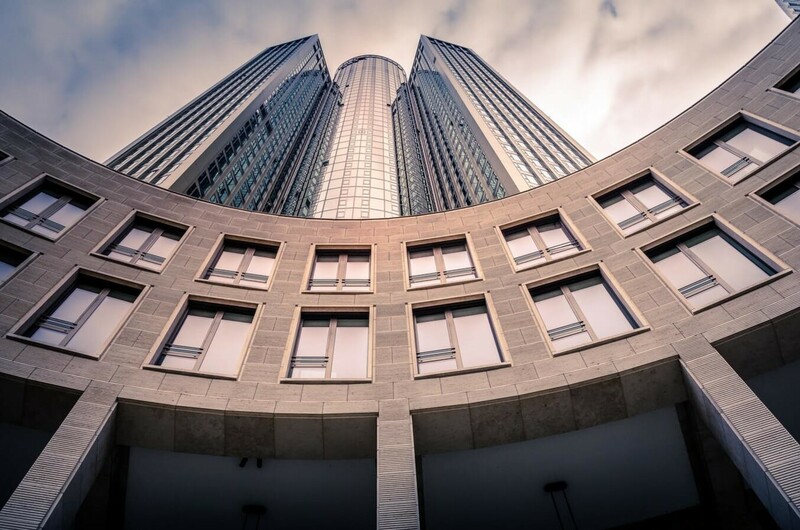 Located in the centre of Frankfurt, the Innenstadt (which translates to downtown) is home to iconic landmarks like the Eurotower and the Opera House. It's very much a shopping nexus, with boutiques and chain stores on Die Zeil and Freßgass, which also hosts Frankfurt's most upmarket eateries. The Innenstadt caters brilliantly to business visitors with a slightly larger budget and a taste for premium food and shopping. It covers all the bases: entertainment, convenience, high-quality housing and security, making it ideal for people on work placements in the city. Unsurprisingly, the Innenstadt is Frankfurt's most expensive place to look for furnished accommodation. Rents in the area average € 1.300 - € 1.800. 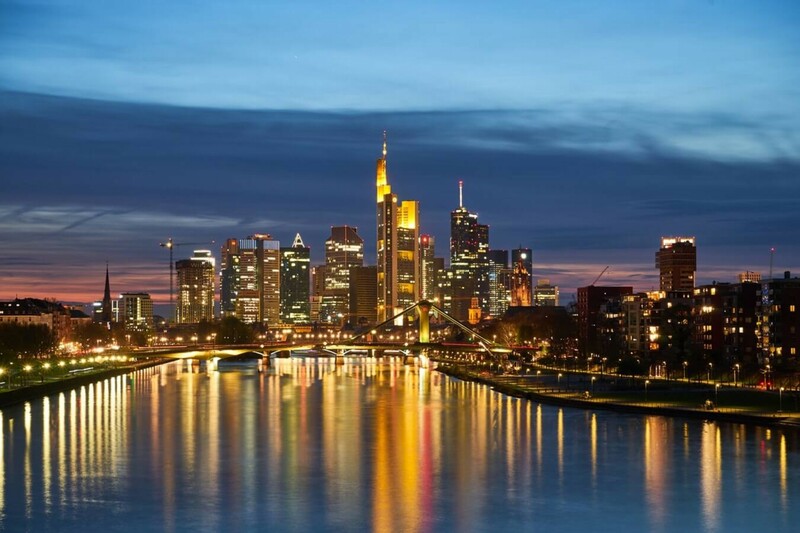 Affluent and bustling with businesspeople, Frankfurt am Main is Germany's financial engine, but it's more than that. With 741,000 inhabitants and 16 districts, it's not an urban giant by any means, but there's so much going on. Youthful and creative, filled with superb museums, and with a calendar packed with carnivals and festivals, Frankfurt offers something for every kind of visitor. Germany’s cities are famous for their good transportation options, and Frankfurt is no exception. While cars are popular, public transportation provides easy access to wherever you need to go. Frankfurt offers a mix of trams, metro services and overground trains that serve every district, so having a car isn't necessary at all (unless you plan to explore more of Germany). VGF runs most services, including night liner buses that are handy for revellers. RMV runs the S-Bahn and U-Bahn services. Frankfurt's taxis are happy to ferry visitors around, but generally aren’t needed due to the numerous public transport options. If you do choose to take a taxi, base fare is generally 3,50€ and the rate per kilometre is around 2€. There is no shortage of sights and experiences in Frankfurt. Here are some of the things to see and do while you are here. Literally the “Roman Mountain”, Römerberg is Frankfurt's meeting place. This elegant 15th century square hosts endless events, including the hugely popular Christmas Market. Frankfurt's cathedral is tough to miss, as it soars above the river Main. Constructed from beautiful red sandstone from the 13th century, its 95 metre high tower provides wonderful vistas of the city centre. This protestant church made history in 1848 when it hosted Germany's first democratically elected assembly, and when John F. Kennedy spoke there in 1963. Today it's a key part of the city's civic life, as the centre of the world famous Frankfurt Book Fair. The Börsenplatz is another unmissable Innenstadt site. This square is dominated by the Neue Börse, which has led the way in European securities trading since the 19th century and looks set to thrive into the future. Frankfurt's Opera House is regularly voted the world's finest, and it's a magnet for high culture fans from around the world. Season tickets are recommended for those who love world-class opera singers. The city's premier shopping destination, Die Zeil is crammed with jewellery boutiques, boutiques run by famous labels, electronics stores and much more. It's a treasure trove for retail lovers. As a vibrant financial city, Frankfurt is filled with a number of helpful services that help residents and short-term guests get more out of their life there. Quickly becoming an essential app for Frankfurters, Flinkster is a car sharing service that is easy to use. It's run by Deutsche Bahn and discounts are available for BahnCard holders. Frankfurt is a fine city for food lovers, and there's no easier way to explore it's many specialities than Lieferando, a takeaway ordering app which gathers together all of the city's finest eateries. When you can’t find spare time in your schedule to clean your apartment, Mr. Cleaner has the answer. 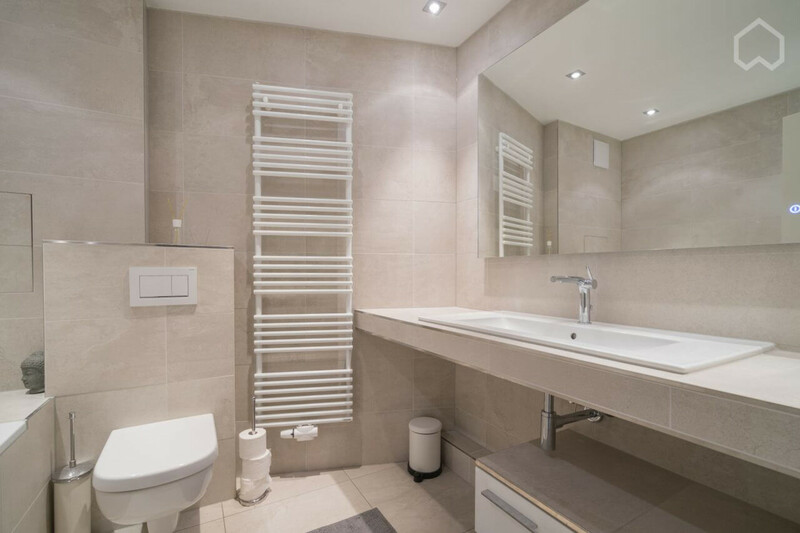 This handy app can connect users with professional cleaners anywhere in Frankfurt, freeing up time for other activities. Fitness First operates a number of gyms around Frankfurt, with facilities on Die Zeil, near the Opera House and in Sachsenhausen. Anyone who wants to work out during their stay in Frankfurt will find their app convenient.